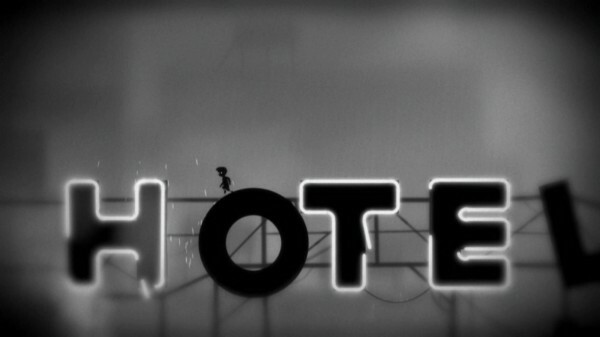 Limbo is one of those video games in 2010 that people wouldn’t stop talking about. Some people just couldn’t seem to rave enough about this atmospheric side scroller where you guide a silhouette of a boy through dangers and puzzles and how the game does so much with so little. I finally got around to playing it, and frankly I’m not quite sure what all the buzz was about. Well, that’s not completely fair. Just about all the praise for Limbo’s looks is well deserved even though –or perhaps because– it’s completely devoid of color and almost without a musical score. It does a lot to create a sense of dread and gloom with just shapes and the saturation slider pinned at zero. And the minimalist mentality extends to the story, which is so scarce as to not actually exist –you’re just a lad who wakes up in a dark forest where the only way out is littered with deadly obstacles and various creatures bent on your grisly murder. It’s moody and mysterious and captivating, so it’s safe to say that Limbo is pretty great, artistically. The early levels of the game are the best. Unfortunately the game part didn’t reach quite the same heights. It’s frustrating not being able to figure out a puzzle. But it’s WAY more frustrating to be perfectly capable of figuring out a puzzle but then be unable to execute on the solution because doing so requires precise timing. And it’s most frustrating of all to think you’ve figured out a puzzle, fail repeatedly at executing the solution, decide that your solution was wrong, then look up the answer on the Internet only to find that you WERE right after all despite repeatedly hurling this little boy to his doom. The puzzles in Limbo weren’t all that difficult to figure out –I actually only had to look up the answer to one, and I turned out to have had the right idea all along as described above. But too often my enjoyment of them was clipped short by fighting with the game’s controls and timing. Maybe this is inherent to all platformers and I should just try sucking less, but there you go. There’s also the issue that Limbo starts off strong and then sputters towards the end. The opening levels in the wilderness where you’re stalked by a giant spider are awesome and really draw you into this little kid’s situation. It’s mysterious and the puzzles feel organic –they’re either environmental hazards or traps left by foes you can see. The game eventually turns to more urban environments, though, and while they offer chances for more varied puzzles they start to feel pretty contrived. 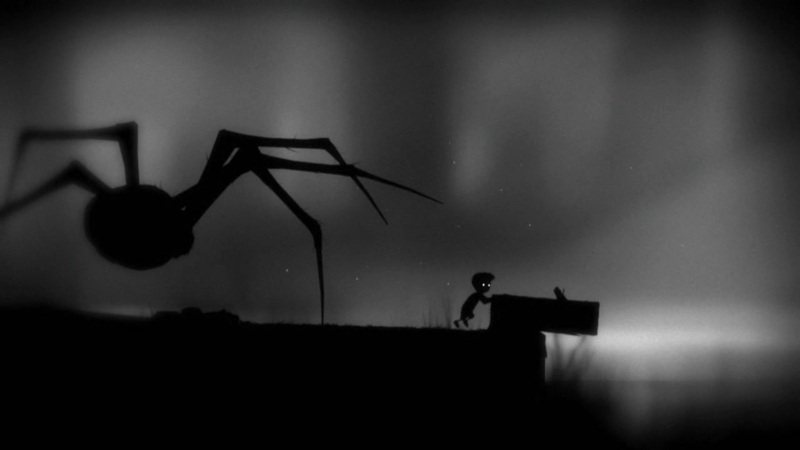 By the time you’re flipping switches to raise platforms and reverse gravity, Limbo feels less like a kid trapped in a mysterious wilderness and more like a kid trapped in a video game. But don’t think that Limbo is a BAD game for all that. It’s actually pretty good even if not the best game EVAR. If you think you might like it, try the demo (on Xbox Live Arcade). If you like that, you’ll probably like the rest of the game well enough to get your money’s worth. If you don’t like it, you’re not.